Natalie was born and raised in Pittsburgh, Pennsylvania. She earned a Bachelor’s Degree at the W. P. Carey School of Business within Arizona State University studying Business Communication. 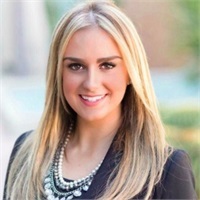 Natalie has decided to begin her professional career with us here, at Watermark Wealth Strategies, to lengthen her knowledge into the financial industry. Outside of work, Natalie enjoys traveling, hiking, and spending time with her friends and family.